What is the Fed’s NATURAL RATE? So, all things being equal, what is the Federal Reserve’s “natural rate”? The ideal rate that creates the so-called “three bears economy”…not too hot, not too cold. Used to be around 5%, but many seem to think it’s more around 2-3% today. Why does this matter? Because it tells a lot whether the Fed wants to raise rates or lower them (long term) and where we might be headed with our home and consumer loans in the near term. Our hosts Hamid and Fay Hamadanchy then dive into some more “macro economic trends” that factor into those Fed decisions (mainly the jobs report and “consumer demand”) and how perplexed they are that job growth has been slowly but steadily growing since “The Great Recession” (except for THIS week’s poor performance) while consumer demand remains stubbornly weak. What’s going on? Find out in this week’s fascinating look at housing prices and loan rates as they try and peer into the Fed’s crystal ball and see where we headed this year. 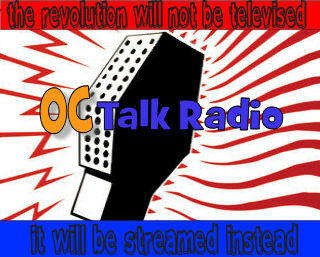 Only on Orange County’s only community radio station, www.OCTalkRadio.net. Ok, all you smart cookies. Can u legally tie a giraffe to a telephone poll in Atlanta, Georgia? Or pawn your wooden leg in Delaware? Don’t be stumped. Get a leg up on all your friends by listening to this week’s segment of IS IT A LAW on our weekly public policy show, THE CITY SQUARE, brought to you by the Association of California Cities-OC and their sponsor Rutan and Tucker, Orange County’s largest law firm, on Orange County’s only community radio station, www.OCTalkRadio.net. We successfully launched our first show, CRITICAL MASS, this week on www.OCTalkRadio.net. Visit our site and find their “show page” under “Shows”. Listen to the results and let us know what you think! Or find out for yourself “How You Can Host Your Own Internet Radio Show”!